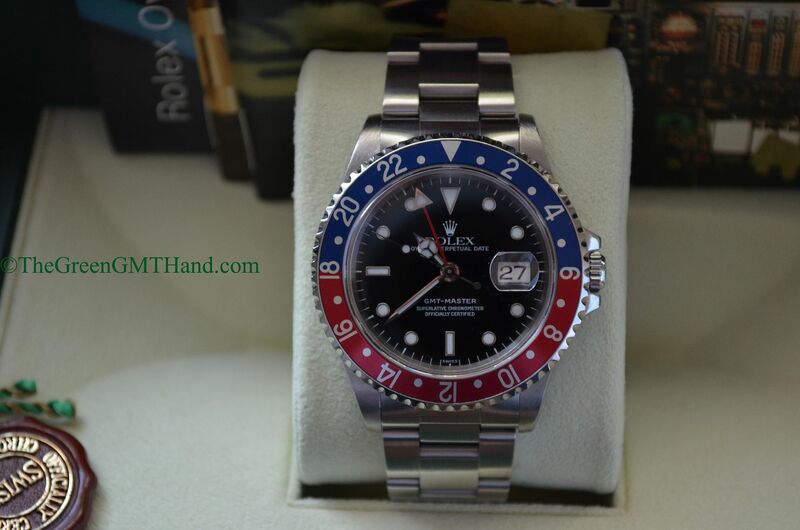 This A serial Rolex 16700 GMT Master was sourced specifically for a client who just had to have the A serial issue. 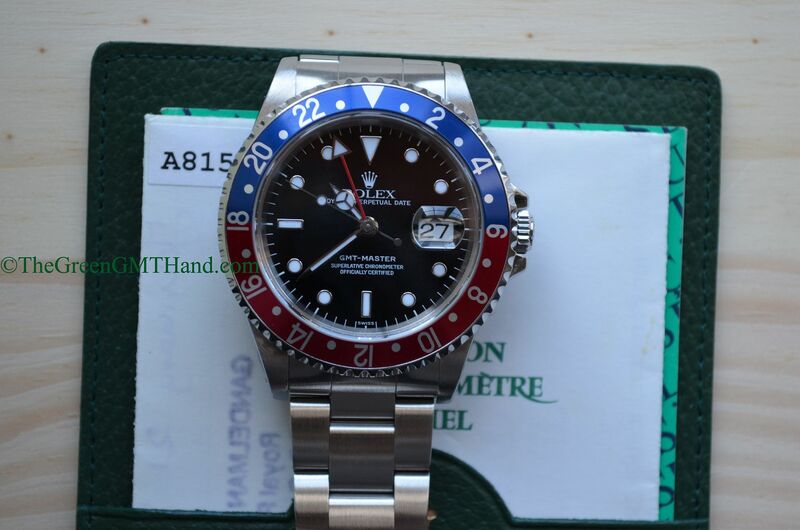 The A serial is the last serial number ever for the 16700 GMT Master before it was discontinued permanently for the 16710 GMT Master II in year 1999 (both models were produced concurrently for a few years). 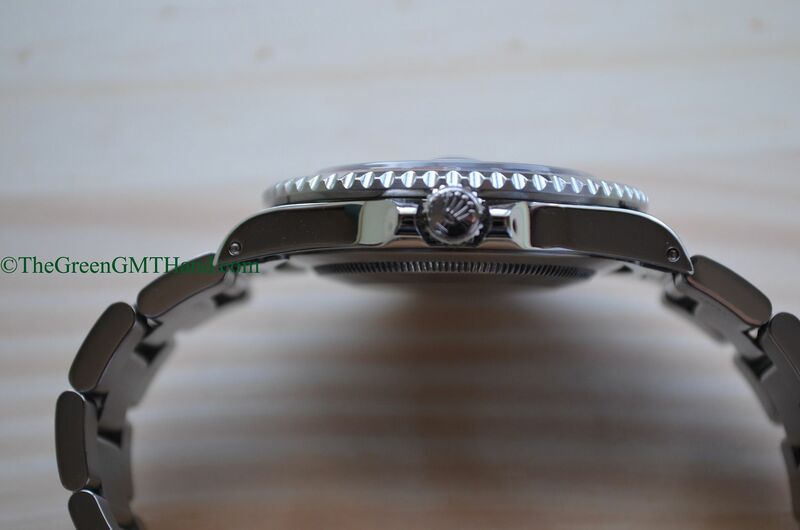 The Rolex model 16700 began in 1988 with a sapphire crystal and a truly quickset date in its calibre 3175 movement (the 3185 and 3186 movements are semi quick set). 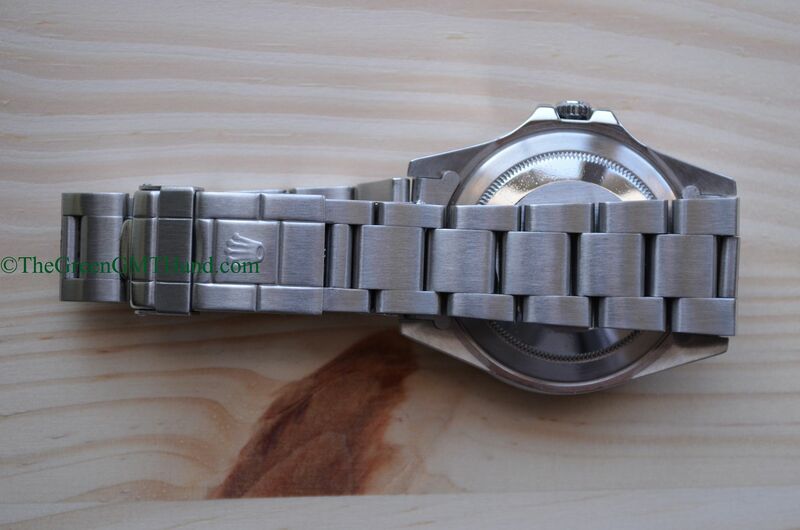 The 3175 movement has a full power reserve of 48 hours. 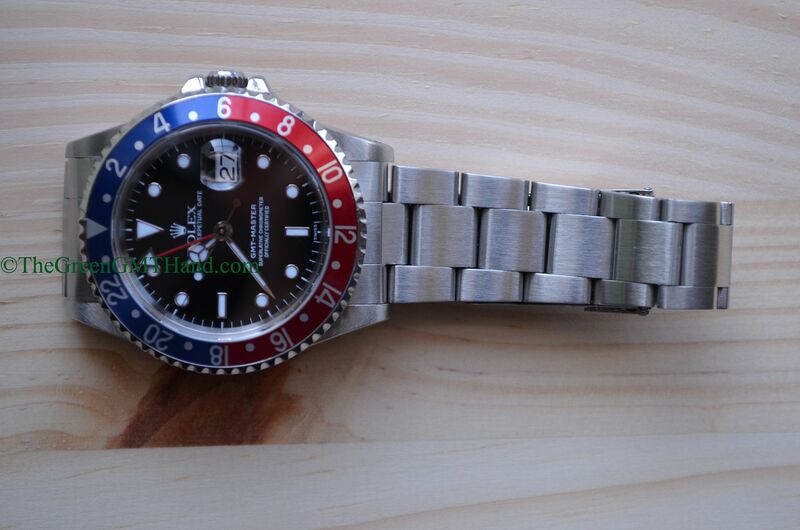 With all of its original links attached, the 16700 GMT Master weighs about 124 grams, making it about 10% lighter than its Submariner siblings. 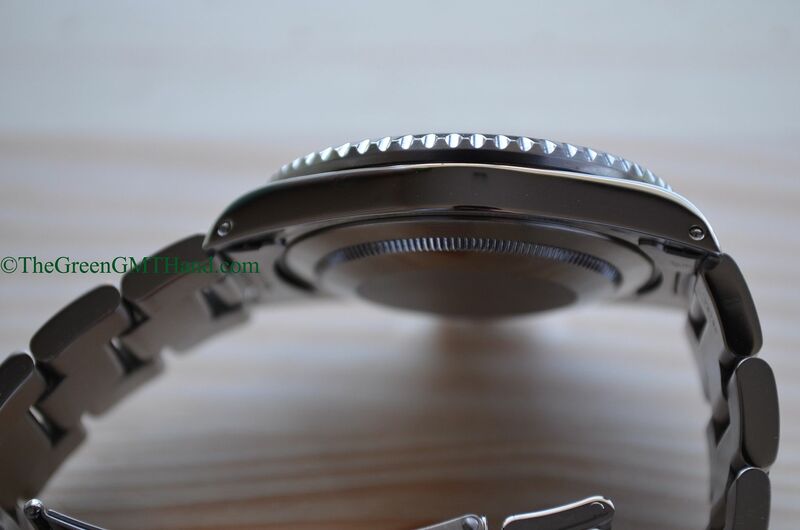 The dial underwent some changes as in 1988, the 16700 was initially introduced with a tritium dial marked with the typical “Swiss -T <25" on the dial. 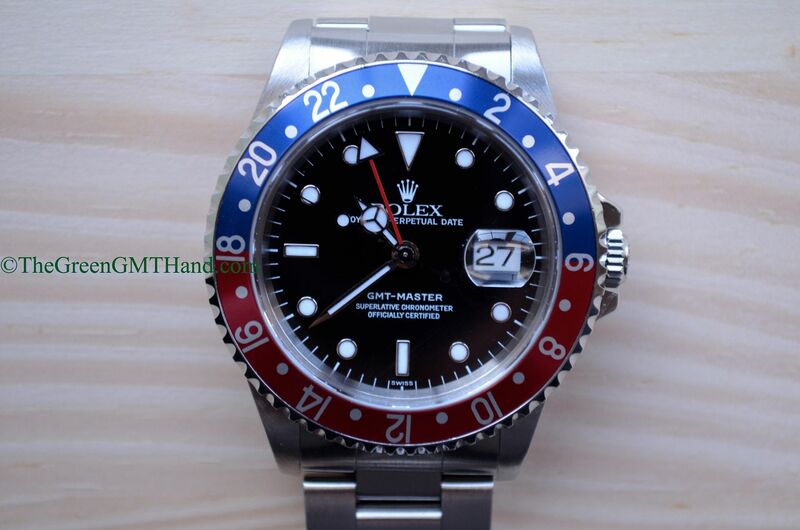 That went on for about a decade and from 1998-1999, the 16700 GMT Master featured a "Swiss" dial with luminova instead of tritium. 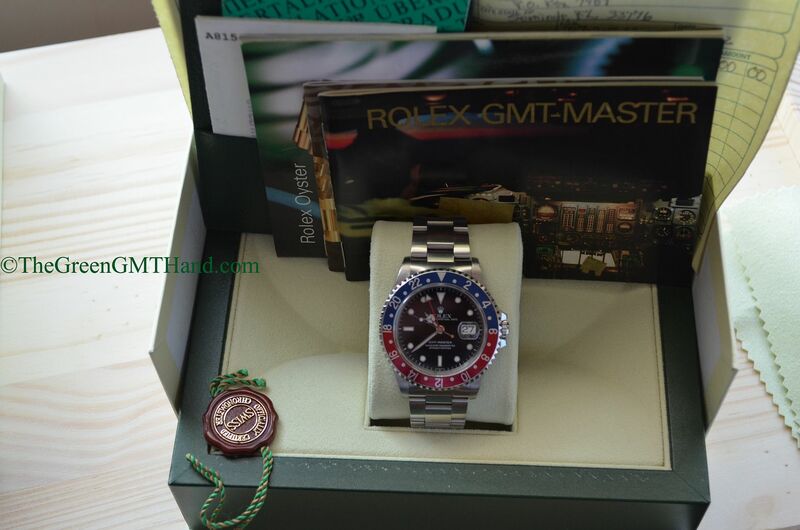 This short run of luminova dial and the final A serial number made this a hard search for our buyer, but we were able to locate one complete with original boxes (not pictured), manuals, hangtag, and Rolex warranty paper. 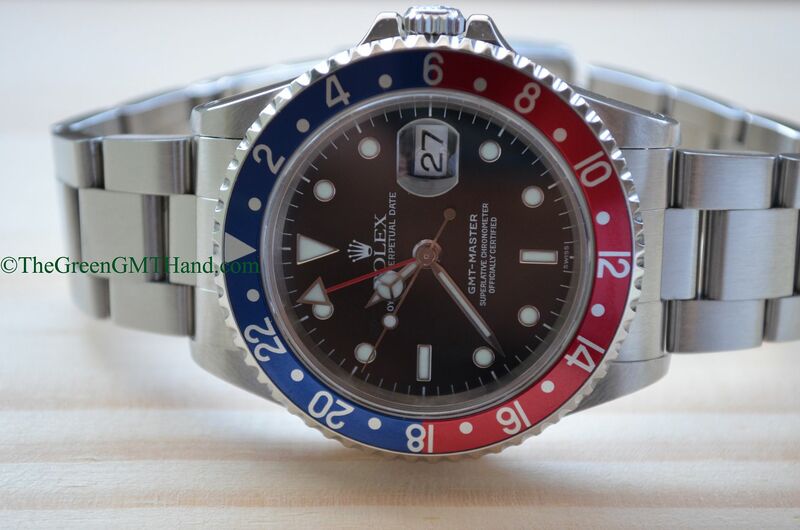 This particular 16700 was serviced prior to delivery as it had never been serviced in its 14 year life, and was SOLD and delivered to the new owner in pristine mechanical and cosmetic shape.